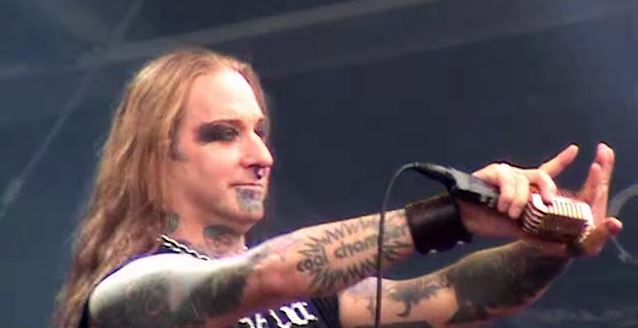 COAL CHAMBER, the reformed '90s alt-metal band fronted by current DEVILDRIVER singer Dez Fafara, has completed recording its comeback album at Audiohammer studio in Sanford, Florida with producer Mark Lewis (DEVILDRIVER, CANNIBAL CORPSE) for a tentative early 2015 release via Napalm Records. 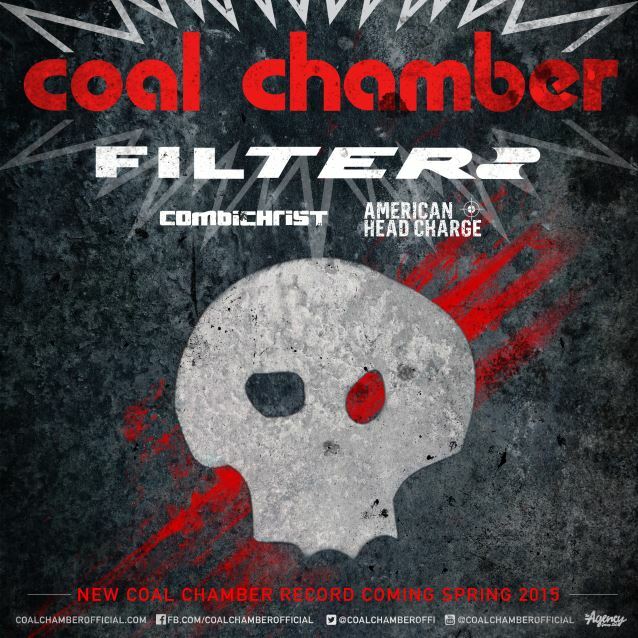 COAL CHAMBER will embark on a North American headlining tour in the spring of 2015. Support on the trek — which kicks off on March 6 in Tempe, Arizona and runs through April 12 in Dallas, Texas — will come from FILTER, COMBICHRIST and AMERICAN HEAD CHARGE. COAL CHAMBER is offering an exclusive VIP Package for every date on the tour. It includes a meet-and-greet with the band, exclusive t-shirt, exclusive poster, souvenir laminate and early entry (where applicable). Tickets go on sale to the public beginning this Friday, December 12 and Saturday, December 13. The new COAL CHAMBER RECORD IS OFFICIALLY DONE TRACKING 404pm Dec 10th #CaliforniaTime Can't wait for everyone to hear !